When rodents invade your home, it’s not just a nuisance; it can be a health hazard for everyone living in your home. Rodents can very easily spread diseases simply through the air they contaminate. They also cause a great deal of structural damage to your home by ripping up your insulation and precious belongings. 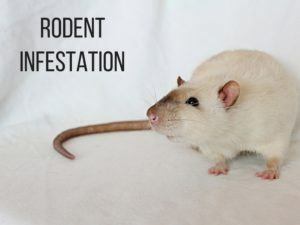 Below we’ve listed some of the most common rodents in the Ft. Worth area, how you can detect them, and how to get rid of them. Rats- Will chew anything they can get their paws on. Since their teeth are always growing, they are always chewing. They can reproduce 4-6 times a year and love to make homes in your warm attic. Mice- These critters may seem cute and cuddly, but they can reproduce at a staggering rate and can inflict a lot of structural damage to your home. Squirrels- These bushy-tailed critters spend their free time scratching and chewing their way through your roof. They love to use your attic insulation as nesting for their young, which can drive your energy bills through the roof. Rodents are excellent at sneaking around your home so they can easily go unnoticed for a long time until you have a massive infestation on your hands. Looks out for these signs to catch the rodents in your home before it’s too late. If you’ve noticed any of these signs in your home, it’s time to call Critter Control® Ft. Worth. 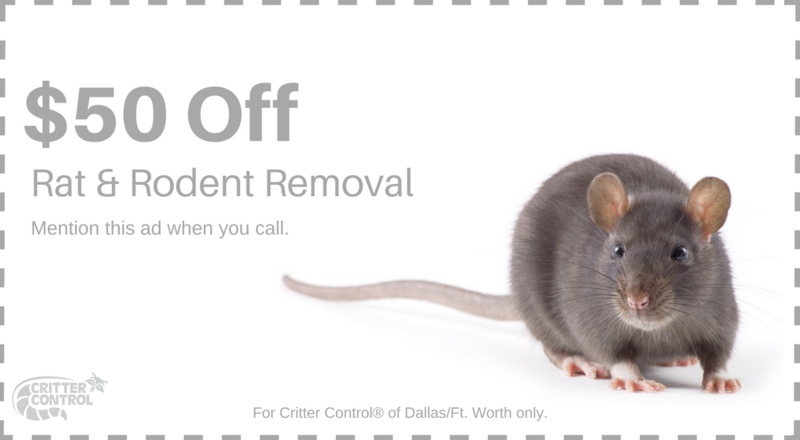 Early action is key when it comes to preventing a large rodent infestation, so do not delay! Our technicians will not only remove all unwanted critters from your home, but we’ll clean up after them, making sure to fill in any holes they made to prevent another infestation.